A photogrammetry scan of the excavation area – in the Dinaledi Chamber of the Rising Star Cave (Cradle of Humankind, South Africa) – in which an adult hand of Homo naledi was found, visualised as point cloud data. 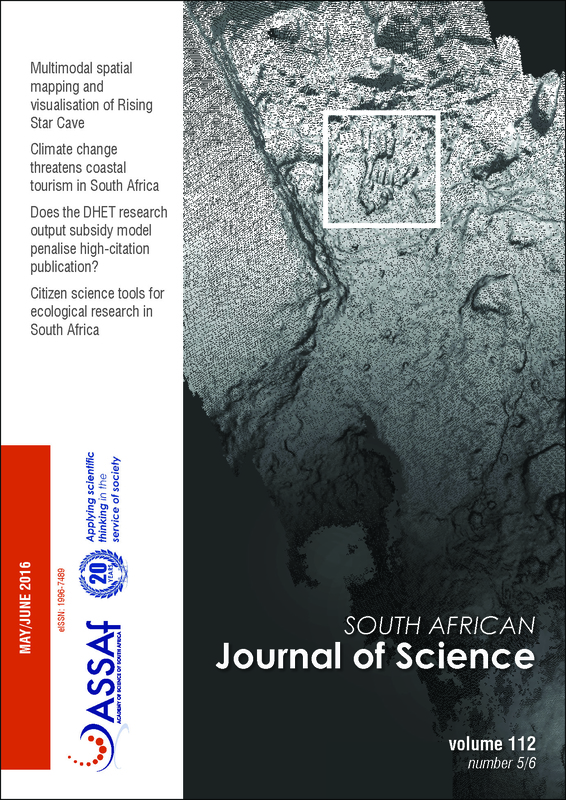 Kruger and colleagues developed and used a multimodal set of recording and survey methods to record the fossils and map the Dinaledi Chamber. Flowers born to blush unseen? DNA-based identification of aquatic invertebrates useful in the South African context?